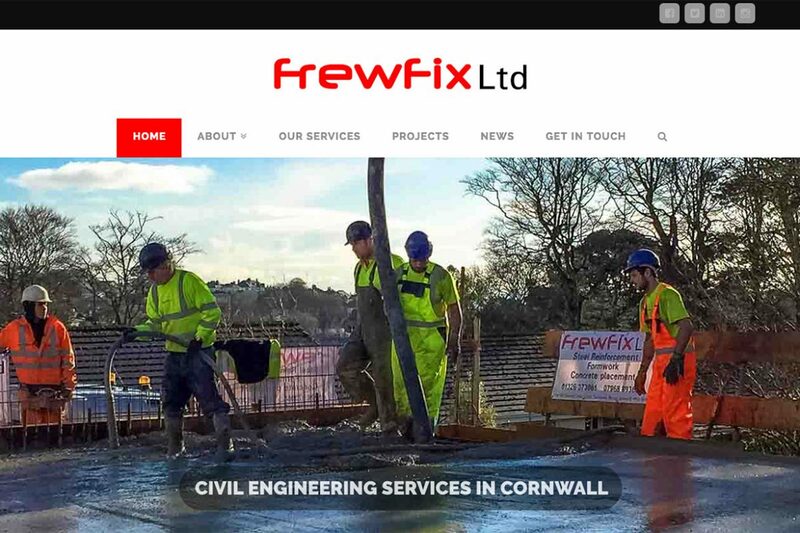 Frewfix Limited, Civil Engineering in Cornwall was founded by Nathan Frew to provide a reinforced concrete specialist company to the South West. Frewfix Limited provide clients with fully qualified competent tradesman that can offer a high quality finished product. The website has be designed to show off the project portfolio of work carried out by Frewfix and to describe all services available.